By now, most Americans have heard the buzz about new wellness plans in the workplace. If your employer has not enacted a wellness plan – they may be in the minority. 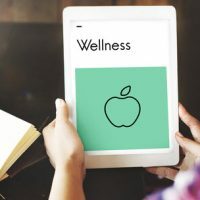 With the rise of wellness plans in the workplace, the Equal Employment Opportunites Commission (EEOC) has issued new guidelines for how employers should handle information from employees gained from wellness plans. As of January 1, 2017, new EEOC rules concerning wellness in the workplace went into effect. These rules permit employers to assess fees from employees who elect not to participate in a wellness program. In short, under the Americans with Disabilities Act (ADA), an employer who offers a wellness program to its employees and collects health information about the employees who participate are required to provide a notice to employees informing them what information will be collected, how it will be used, who will receive it, and what will be done to keep it confidential. What should employees know about their rights surrounding wellness programs at work? In order to understand why the EEOC would issue rules allowing employers to assess fees from non-participating employees, it is important to understand some background information concerning wellness programs in the workplace. The primary aim of wellness programs is to improve employee health or prevent disease. Through wellness programs, employers can collect health information about employees through voluntary risk assessments (HRAs) or voluntary biometric screenings that include medical examinations (such as tests to detect high blood pressure, high cholesterol, or diabetes). When employees elect to participate in a wellness program at work, they are asked to complete the health risk assessment (HRA). This is voluntary, but it provides information about the employee’s health-related activity and behavior, as well as medical conditions. In addition to the HRA, as we mentioned above, employees are also asked to undergo a biometric screening. Typically, this simply involves a blood test that can help to determine various information about an employee’s health. If an employee chooses to participate in a wellness program, there are benefits beyond the ability to keep better track of health. Specifically, employers provide an incentive to employees who complete the HRA and the biometric screening. If employees elect to participate in additional health-related programs or activities, they can be eligible for additional incentives. Often those incentives involve lower health insurance premiums. Do Employees Suffer “Irreparable Harm” When They Elect Not to Participate in a Wellness Program? AARP attempted to block the EEOC’s rules that allow employers to assess fees from employees that do not participate in wellness programs. It argued that employees could suffer irreparable harm because many of them will be unable to afford premium increases, forcing them to disclose confidential information they otherwise would not have shared. However, the burden of proving irreparable harm is a difficult one, and it is a burden that AARP did not meet. The article suggests that it will be very difficult for an employee to meet such a burden of proof in the future, as well. Yet employees do have concerns about the privacy of their personal health information—an issue that should not be taken lightly. If you have questions about the EEOC’s regulations with regard to wellness programs, an experienced Florida employment law lawyer can assist you. Contact Scott • Wagner and Associates today for more information.